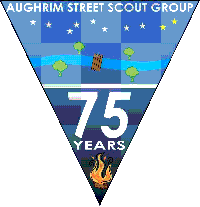 Welcome to the web site of the 9th/10th Dublin Aughrim Street Scouts! Please take a look around our pages and let us know what you think. We will be using our new site as well as our Facebook page to keep you up date with all the news and events of the Group. If you are part of the group, you can register with our site, which will give you access to photos and e-mails about up coming events. You can create your account here. The Viking Cub Pack was the first Pack to be founded in the Group. We meet on Monday nights from 7.00pm to 8.30pm. The dream team of Andrew, Chris, Paddy and Sinead try to keep control of a wild bunch of 20 highly strung 9-11 year old boys & girls, in the Cobra, Bull, Shark & Leopard sixes! Activities range from the extremes of hiking, camping and outdoor crack the code treasure hunts to the other extreme of Ship Sea Shore. 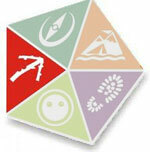 The gang are busy trying to earn Lands of Adventure Stickers, Special Interest Badges and Adventure Skills badges. For up and coming events and information on recruitment please click below. 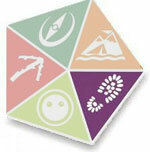 Meeting on Tuesday nights from 7.30pm to 9.30pm, Ben, David, Steven and Aine bring their own unique brand of Scouting to 18 eager Scouts. Their current programme makes great use of the tremendous facilities offered by the Scout Den; our state of the art, multi-staged climbing wall, complete with overhang; climbing frame; volley ball court; and outdoor abseiling wall. We also make great use of Glendale Lodge as a hike/weekend basecamp. 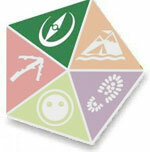 Venturers are the fourth section of the Scouting movement. 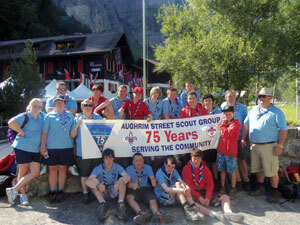 Right from the time of Baden-Powell, there have been arrangements for young people who wanted to continue after their time in the Scout Section and in 1967, Venture Scouts were formed from the existing Senior Scout and Rover Scout Sections.